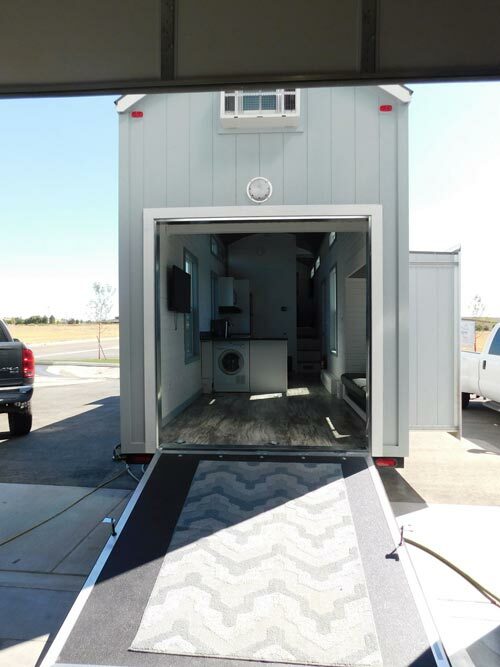 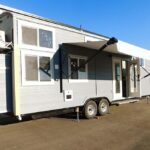 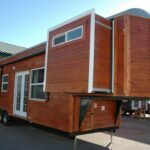 The Sawtooth Toy Hauler is a 35-foot gooseneck tiny house with two slide-outs. 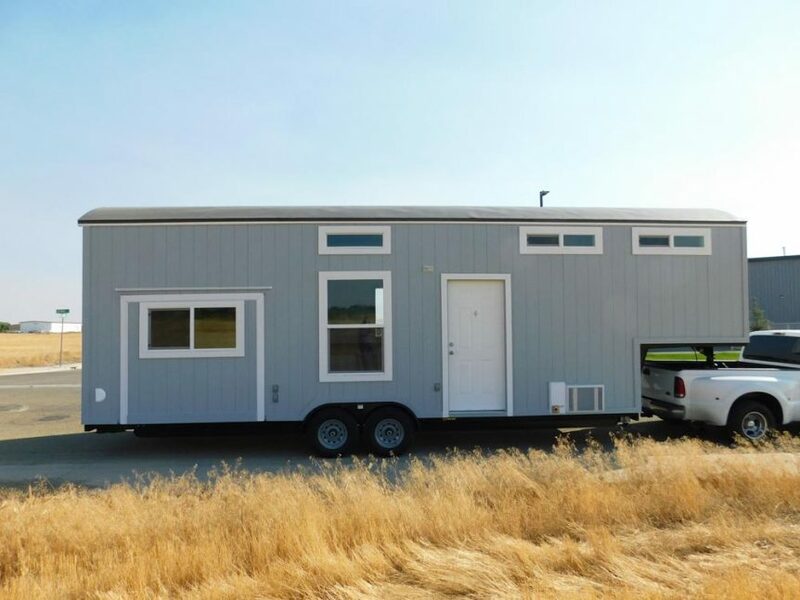 Built by Tiny Idahomes, the Sawtooth allows an adventuresome family to live tiny while enjoying their toys. 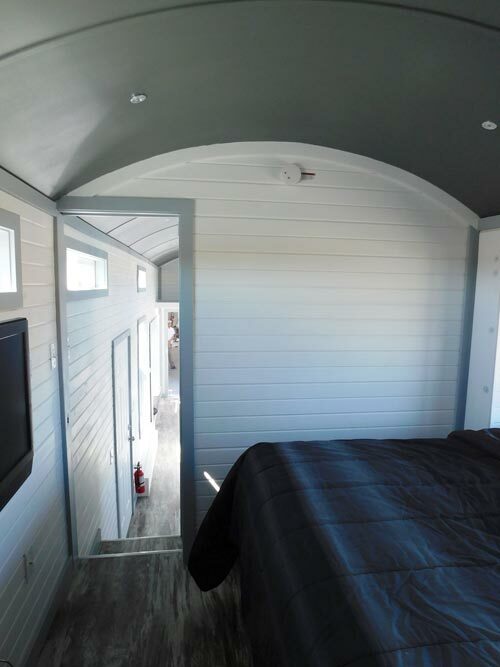 The master bedroom is located over the gooseneck and has a 6-foot slide-out. 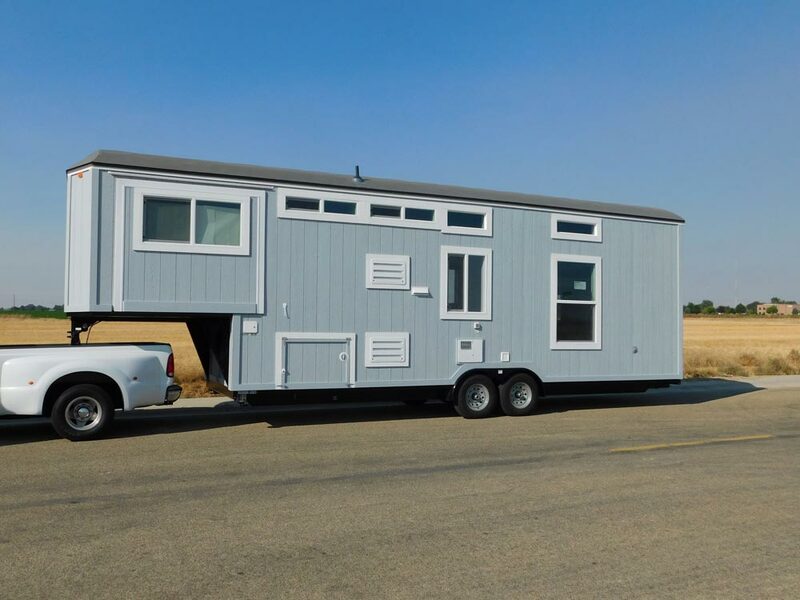 The other slide-out is in the living room with a Jackknife sofa. 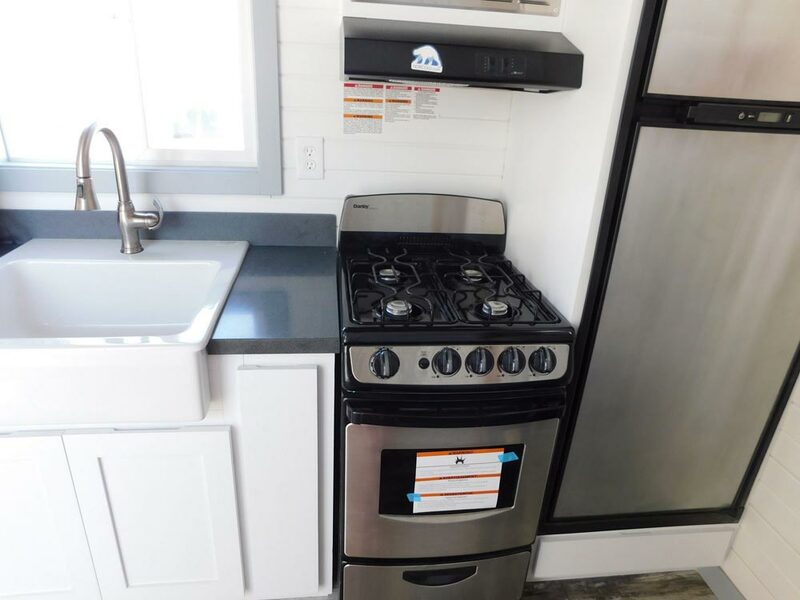 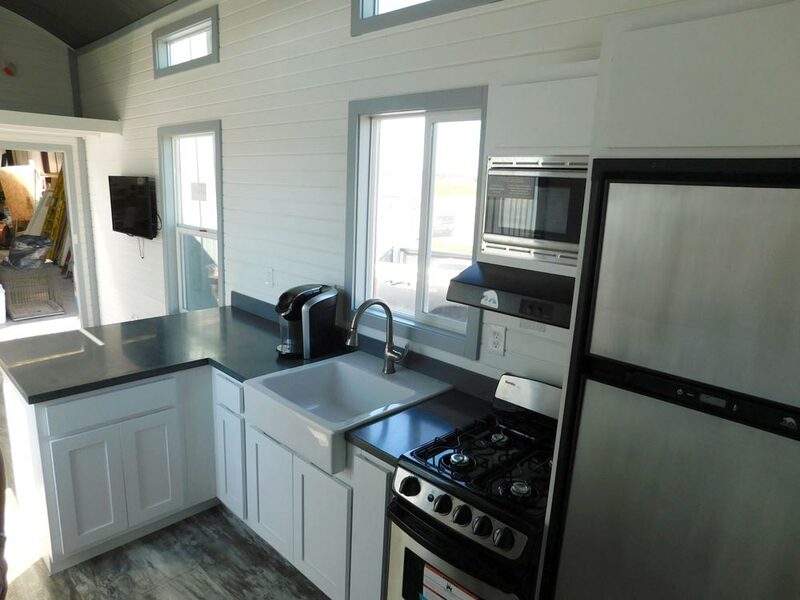 The kitchen is equipped with a white farmhouse sink and gooseneck faucet, four burner gas range with vented range hood, white shaker style cabinets, and a Corian countertop with flint backsplash. 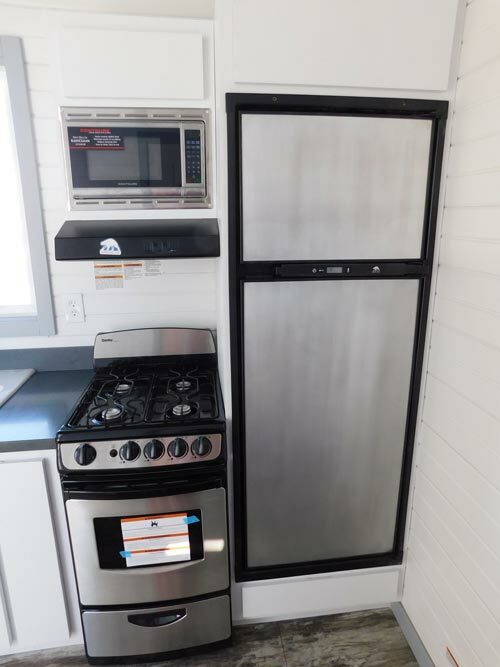 An RV refrigerator is next to the range and a washer/dryer combo is under the bar countertop. 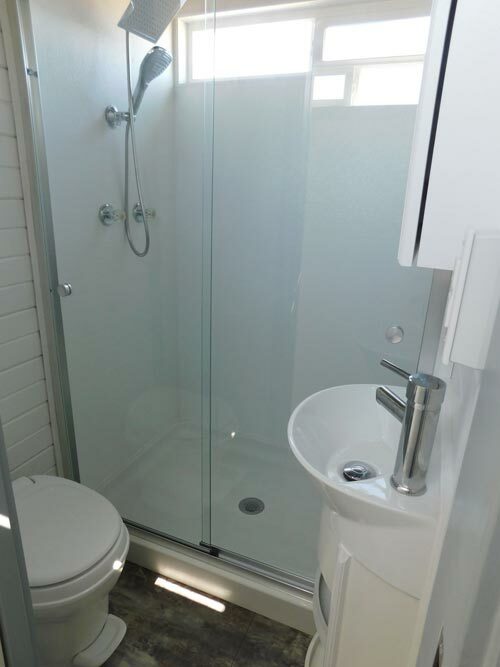 The bathroom includes a 48″ fiberglass shower with rainfall shower head, glass shower door, small vanity and sink, and a mirrored medicine cabinet. 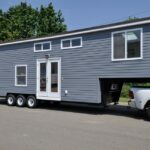 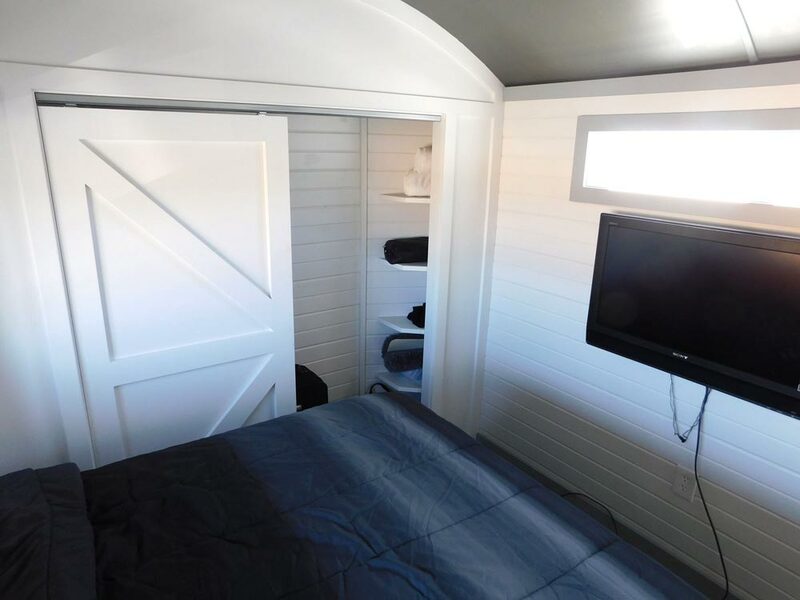 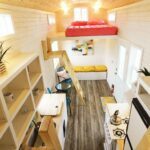 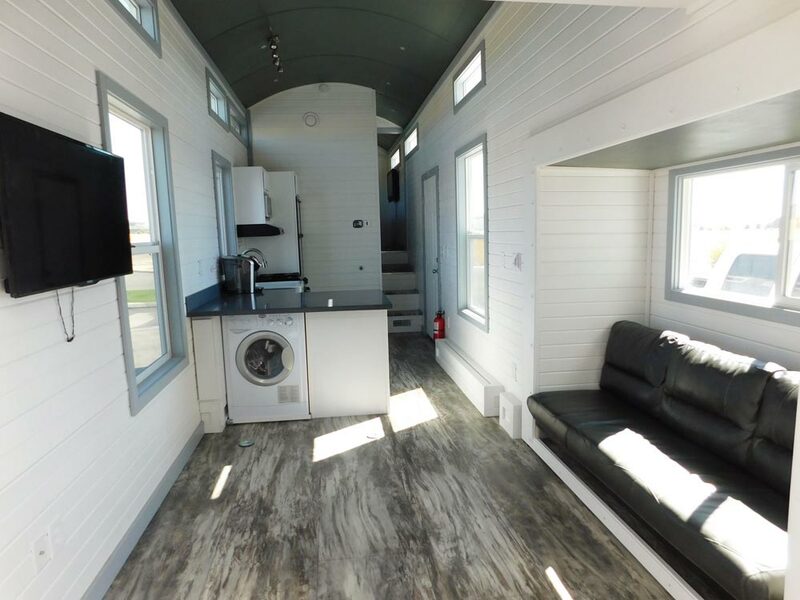 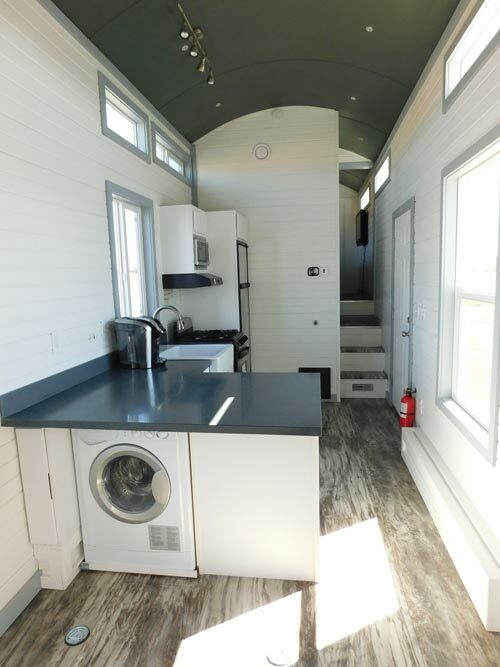 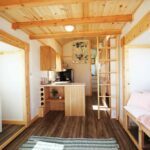 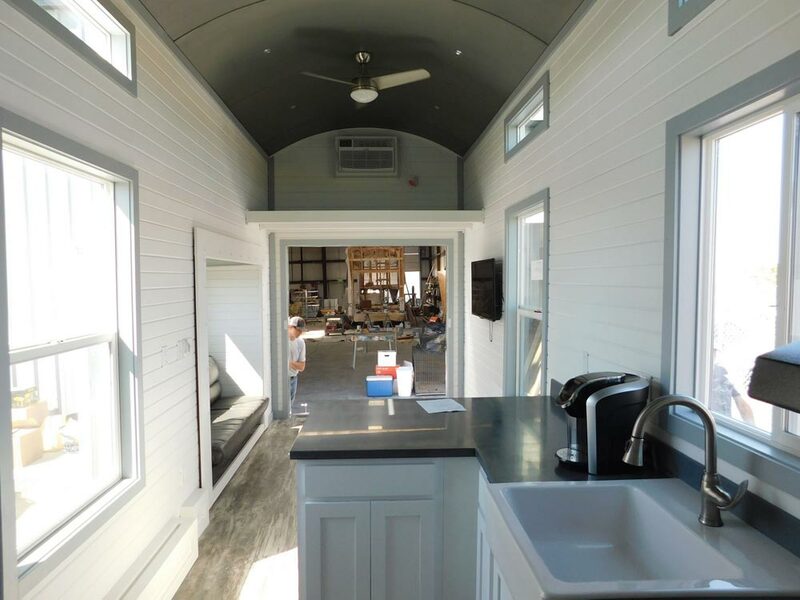 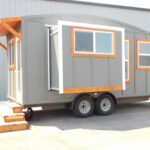 The tiny house uses 2″x4″ construction with R-15 walls and ceiling and R-13 floor. 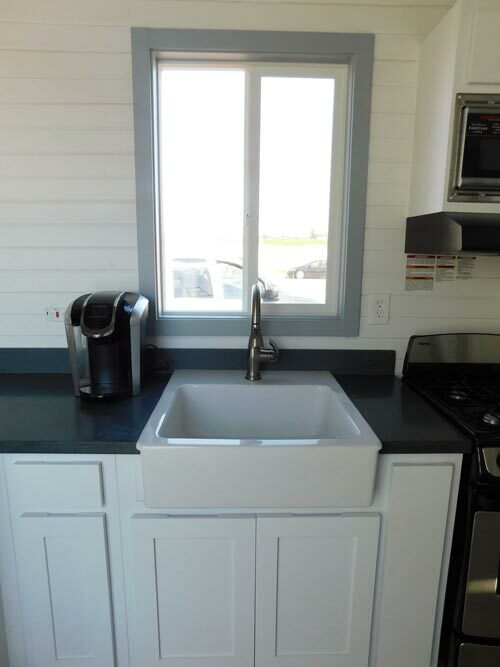 The v-groove siding is painted Sherwin Williams Uncertain Gray with Snowbound white trim.